Applying eye makeup is not an easy job. There are a number of things you need to be careful about. To get the perfect look, you have to put in some effort and hard work. Here are a few tips to make your task easier. 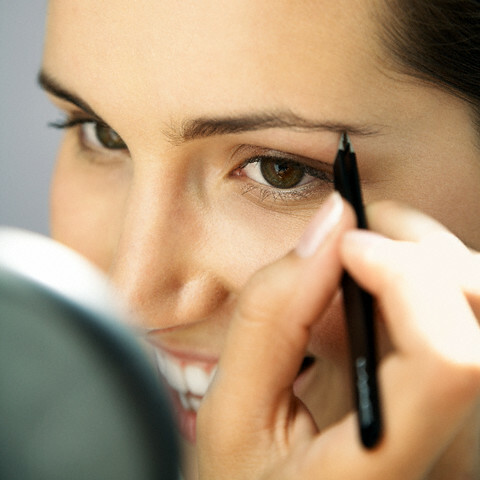 Read on for simple tricks that will help you in your eye makeup regime. They are sure to help you a lot. Ensure there is no oil or grease on your eyelids. 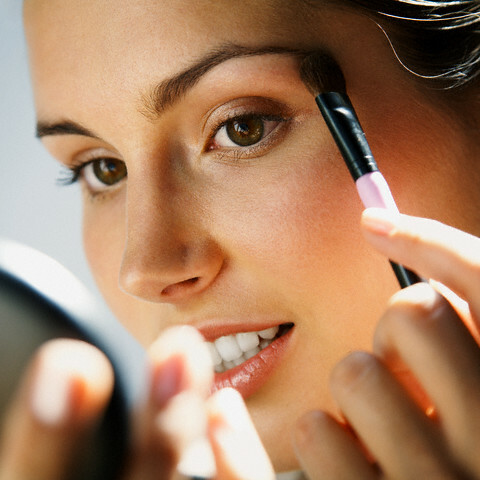 Use a makeup remover to clean your eyelids so that your eye liner does not get smudged. Keeping your eyes open while applying the eye liner makes sure you get it done perfectly. It may be hard, but you will get it right with practice. Apply the eye liner really close to your eye lashes. They must be as near as possible. This gives it a natural look, and makes it look like a part of your eye. Some people want to make their eyes look bigger. A simple trick to do this is to use a white pencil in the inner part. After applying the white, use your liner outside it. This gives it a naturally bigger look. A pencil eye liner has a tendency to give a softer look. This makes your eye look bigger. Use your finger to smudge it a bit. This gives it a natural look unlike the straight line. People generally seem reluctant to use eye liners once they start ageing. Do not stop it. The trick here is to use a softer shade. This will look good on you, no matter what your age is. For coloring your bottom eye lash line, use a shade which is softer than the one you used on your top eye lash. A deeper color will look odd. If you are lining the bottom eye lash line, make sure you also color your top eye lash line. But, the reverse is not necessary. You need not have to color the bottom lash line when coloring the top lash line. You must always use the base color on your eyes till your brow bone first. This must be the lightest color. After that, apply the medium color on your lid, and then use the highlighter, which is the darkest color. must blend well in to your skin. If the color of the eye shadow is same as that of your eyes, your eyes will pop out. For a better look, you can use colored lenses. If you are creating smokey eyes, remember one tip. Make sure the color does not extend above your crease. The color must be on the lid and just beneath your lower eye lash line only. Each type of eye has got different areas to apply the contour, midtone, and the highlighter shade. So, when you apply the different shades, you must do it according to the shape of your eye. Be careful not to use mascara at the tips. Your lashes look longer when you apply mascara near the roots. Keep this in mind before you start applying your mascara. The lashes must be separated when you apply the mascara. Shake your brush in the horizontal direction. This separates them when you apply the mascara. As such, your lashes do not stick together. When lashes stick together, they look really bad. So, remember this tip each time you use mascara. All clumps need to be removed when you use mascara, otherwise it will not look good at all. To get rid of the lumps, get an eye lash comb. You could also go for a clean mascara brush to do this. You could use an eye lash curler to give your eye lashes a whole new look. You can use this when you feel like, either after r before applying the mascara. It makes no difference when you use it. Both uses give the same effect. Eye makeup can be a bit messy. To prevent the make up from getting spoilt, an idea is to use a tissue paper for your bottom eye lash. This makes your eye makeup clean. Using a base is a must. You must always use a base before you start applying your mascara. This makes sure your mascara stays longer and does not get smudged too soon. Use a blotting paper to clean any build up of makeup on your crease. Dab a blotting paper, and do not smudge your line. Using a blow dryer can help you curl your eye lashes better. You must ensure that it is not too hot, and does not damage your eyes in any manner. Use applicators and brushes that are really good in quality. The ones you get free with your makeup equipment are not usually good enough. So, get better ones to keep your eyes safe and clean. It also makes the makeup look better. Use a light shade for your eye makeup, in case the shade of your lipstick is too bright. Having bright colors on both, your eyes and lips, will look odd. If you use a little bit of the light eye shadow near your tear duct, which is on the inside rim, it will make your eyes look brighter and whiter. Matching your eye makeup with the color of your dress is not a good idea, so better avoid trying to do this. In addition to doing eye makeup, make sure you even maintain your eyebrows well. This will enhance the beauty of your eyes. Beautiful eyes are sure to attract every beholder. So, keep these tips in mind and get a good eye makeup done to enhance your eyes.